Imogen's Typewriter. : 5 Things I Love about Summer! The sun is out and my typing is joined by the sound of birdsong, the same birdsong that woke me up at 5am through the open window. I'm not a fan of Summer in general. It's way too hot for me and I both loathe applying sunscreen and have the skin of a ghost. 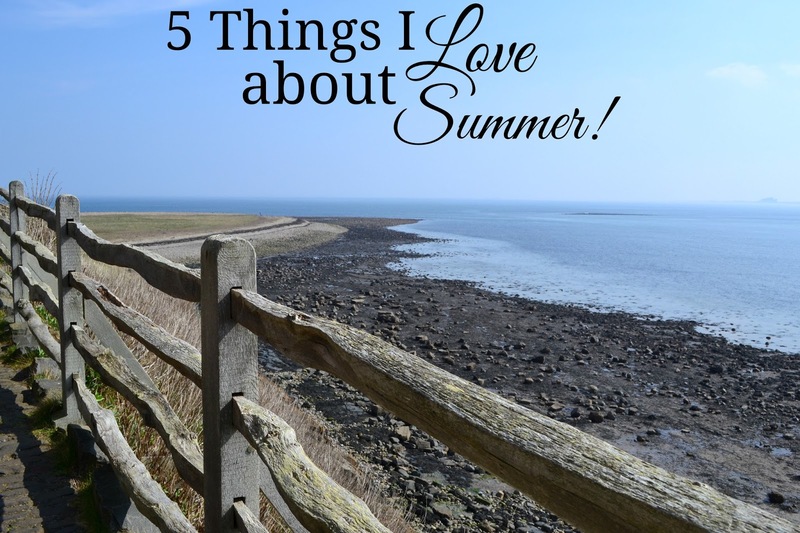 But in a bid to be positive about the upcoming three months, here are 5 things I love about Summer! Not so much for me, as a distance learning student I actually have a huge deadline at the beginning of August so I'm working my tail off, but all of my friends are home from University now and I'm really excited to see them and catch up on their news. 2. All the good fruits and vegetables start coming into season. Nectarines. Cherries. Apricots. Peaches. Artichokes. Need I say more? I can live off fruits and vegetables in the Summer season, those and the occasional ice pop. Summer is pretty much every bloggers favourite season because the lighting is actually decent for once. The sun is blaring and the editing is a minimum. I'm stocking up on well lit pictures for the upcoming months because in Winter, those 2 minutes of direct sunlight are easily missed. Even though I don't have any holidays planned, I'll be reaching for some of my more summer-y reads now the sun is out a little more. It's just not the season for reading about chills and crackling fires, give me a novel that I can read while I chug ice cold water. I'll be posting my TBR soon. 5. The Return of Orange is the New Black. Okay, I was running out of things to love. I really don't like Summer that much. But Orange is the New Black is returning tomorrow and I'm so excited! I've cleared out most of my day so I can binge watch it. It's my motivation to get ahead on work. 5 Things I do for Self Care! 10 Books I want to Read this Summer! The 'I Went for One Thing' Book Haul! Book Review: Day Four by Sarah Lotz!